If your land interest is strong, such as a freehold or exclusive possession native title, you can be a project owner. If your land interest is shared, such as non-exclusive native title, you can consent to someone else’s project on your land (this is for carbon storage projects only). If you have no land, you could make an agreement to do a project on someone else’s land or provide services to someone else’s project. In general, if your land interest is stronger, such as a freehold, it will be easier to meet the requirements to become a project owner. If your land interest does not allow that, or if no land is held, it may be easier to consent to someone else’s project or provide services to a project in your area. The project owner must meet the land requirements for projects. For emissions reduction projects, this is only the right to carry out the project. For carbon storage or sequestration project, this also includes consent from the carbon right holder and also from other interest holders in the land. A project owner must show that they have the legal right to carry out the project on the land. Freehold land – if the title is less than freehold, for example a lease or a reserve, landholders will need to check the legislation and the land interest to ensure they are consistent with carrying out the type of CFI project. Exclusive possession native title - the CFI Act has special provisions to allow holders of exclusive possession native title to directly benefit from CFI projects. If you are not the landholder, you could show a right to carry out a project by agreement with the landholder. This could be by way of a lease or another agreement which allows use of the land for the proposed project. For example, a ranger group could make an agreement to carry out a savanna project on a pastoral lease. For carbon storage projects, others with an "eligible interest" in the land must consent to the project. An eligible interest could be the right to benefit from the carbon in the land or a property interest in the land. These interests may be affected over the long term of the project and the right to consent gives these interest holders a say before the project goes ahead. It also allows eligible interest holders to negotiate a share in the benefits of the project. The first class of "eligible interests" is carbon rights holders. The carbon right is a way of signalling who is entitled to benefit from a carbon project. It’s kind of like a part of the title to the land. Separating the carbon right from say a freehold title allows carbon storage projects to be bought and sold separate to the land title itself. 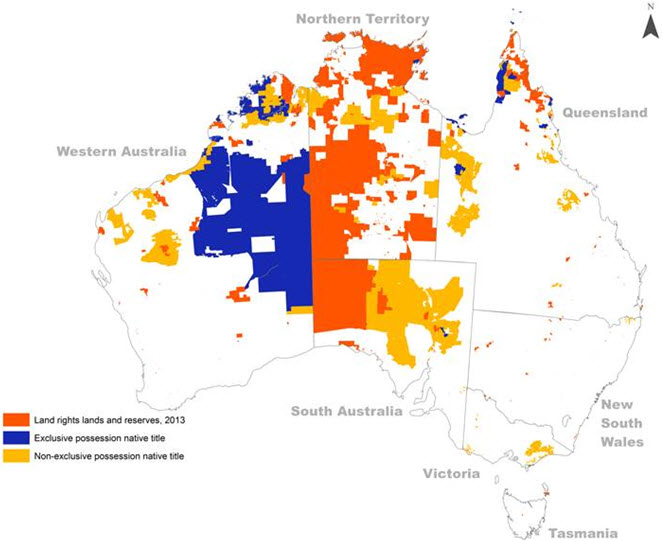 If freehold or exclusive possession native title is held. If native title is held and the carbon right is held as part of the native title, for example, as a right in a determination. If the carbon right is registered under a state scheme, noting that native title holders may not be able to register the carbon right in some states. For example, a group carrying out a savanna sequestration project on exclusive possession native title would not need to register the carbon right, because the Regulator can assume the right in this case. A registered interest on Torrens land, such as an Aboriginal freehold. A legal interest on Crown land, such as a lease. The right to consent to carbon storage projects is most relevant to native title holders because native title often shares land with other interest holders. It is important to note that where native title holders have consent rights, this is in addition to any rights under the Native Title Act 1993. The grant of a lease or other land interest underpinning the project and the grant of a carbon right in the land may be future acts (because they harm or impact native title) and procedural rights may apply.